The Mayo Clinic Center for Social Media (#MCCSM) is already preparing for next year’s Social Media Summit after proudly hosting this year’s event with more than 300 participants. 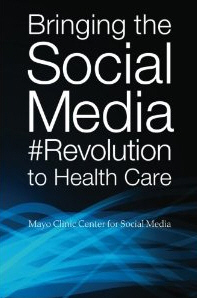 In our keynote address, “Bringing the Social Media Revolution to Health Care," MCCSM director Lee Aase and I illustrated how social media will play a major role in the future of health care because we need to go where the patient is. Attendees from Australia, Canada, Czech Republic, Japan, Mexico, and the Netherlands agreed that social media is creating new ways to connect patients all over the globe. Social media can unite, giving patients the capacity to find companionship and support. An example of the power of digital partnership with patients can be found with those who have suffered from spontaneous coronary artery dissection (SCAD). SCAD (featured in our 2011 Social Media Summit) is a rare disease in which the lining of a heart artery suddenly tears. As the tear spreads, it can impact blood flow, causing a heart attack, which can result in sudden death or the pump becoming weaker, yielding heart failure. Victims are often young women, many of child-bearing age, without any of the typical risk factors for heart disease. Until recently, the published studies to guide care and to inform patients of this rare disease were limited to brief case descriptions, leaving patients and their physicians with more questions than answers. While geography isolated these women, they persevered and found community and peer support online. One peer-to-peer support group, hosted on Inspire.com by WomenHeart, had significant online traffic. Very quickly, this collection of empowered, engaged and electronically adept women realized that they had formed a larger group of patients than had been scientifically studied previously. They understood that their social network had the capacity to be a rich resource for understanding their disease. All they lacked was a physician scientist to study them. At a WomenHeart-sponsored symposium at Mayo Clinic, two group members sought help from a Mayo Clinic cardiologist, inviting her to serve as the scientist for a research project made possible by their social network efforts. That cardiologist, Sharonne Hayes, M.D, began a 12-patient pilot study to assess whether a medical disease could be studied via a virtual registry. Within one week of starting the pilot (and patient-advocate recruitment through the Womenheart group), study subjects were identified from New Zealand, Canada, the United Kingdom, and the United States, none of whom traveled to Rochester, Minnesota. After successful pilot completion, Dr. Hayes created a 200-person virtual registry. Thanks to the continued efforts of this stellar peer-to-peer patient group, and their pioneering use of social media (i.e., Twitter, Facebook, etc.) for study growth, the virtual SCAD registry at the Mayo Clinic is now on track to recruit 200 study subject — the majority of whom have not traveled to Rochester, Minnesota — for what will be the largest registry of this rare and devastating disease. 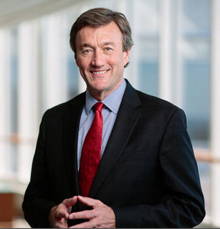 Fortunately, the Mayo Clinic Center for Social Media had established the structure and support from leadership (see Mayo Clinic CEO, Dr. John Noseworthy’s, presentation two years ago at our Social Media Summit) that recognized the potential for social-networking as a tool for patient engagement by employees, and the social media training and guidelines that encouraged physicians to partner with their patients online. So we were prepared to offer support to Dr. Hayes as she ventured into this promising new field of research. Social media has grown explosively, with social network participation accounting for nearly one-fifth of all time spent online. When online, our patients are increasingly seeking health care information, which is now the third most common online activity. These facts highlight the reality that health care and social media are already “living together.” In marrying the two we can help legitimize the relationship for the good of our patients and society. As health care providers, we must walk with our patients as they journey from health to illness, and from illness to recovery. In Medicine, morality and health care social media, published in BMC Medicine, I discuss further how social networks allow us to share content and join conversations that reach beyond the confines of time and space. We must be present in those conversations. This is the future of health care. If you would like learn more about social media transforming the patient experience, please follow me on Twitter or view some of my recent presentations, and consider joining with us in the Social Media Health Network. Editor's note: Farris Timimi, M.D., is a cardiologist at Mayo Clinic and the medical director of the Mayo Clinic Center for Social Media.